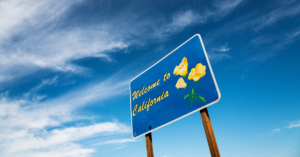 Edsall says … “The left celebrates California’s rapid growth while turning a blind eye to its inequality. The right decries poverty and inequality while discounting rapid economic growth.” This is an excellent reason to discard the artificial and false division of US society in left and right boxes. The question must be … how does society generate the wealth necessary to keep a baseline of services sustainable so that we all have equal access to natural opportunities and liberty. Tax wages and capitalist profit, then there will be less of them. Tax only land and none of it goes away … in fact, if California did the right thing and tax only land value, they’d have high growth and less poverty because there would be great revenues available for those important social adjustments like healthcare, education, job training, entrepreneur incubators, clean air, low carbon, safe water, and sustainable waste management. It’s a laugh to hear conservative think tanks decrying poverty under “left” policies, when in fact poverty is the product of people implementing policies in line with the entire political spectrum. The Jobs-Housing Hamster Wheel Henry George’s Land Value Tax: An Idea Whose Time Has Come?